Hit US TV Series 'Last Resort' Premieres in AXN This October! Picture this: political intrigue, nuclear missiles and Navy seals gone rogue. Sounds like something out of a Tom Clancy plot? 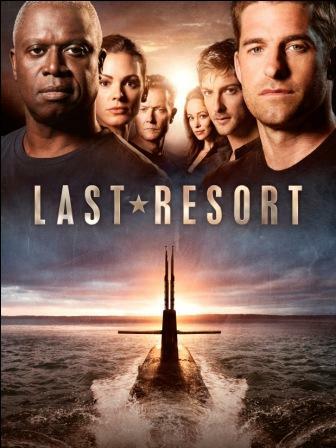 This is Last Resort, hailed by critics to be the best new show of the fall, and set to premiere on AXN within the same week of the US telecast this October 1, 2012 every Monday at 10PM. Helmed by The Shield’s Shawn Ryan, Trepass’ Karl Gajdusek as showrunners and Casino Royale’s Martin Campbell as director, there is little doubt to be had when told that the series will be ‘unlike anything else on TV, unlike anything you have seen on TV before’. 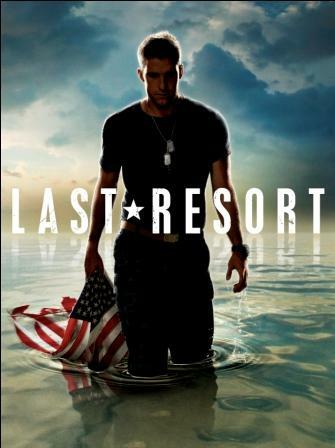 Undeniably, Last Resort has the marks of a cinematic production – top-dollar special effects as executive producer Ryan will reveal; and a solid cast of talents from the Emmy-winning Andre Braugher (Men Of A Certain Age, Homicide: Life on the Street), Scott Speedman (Felicity, Underworld) and Daisy Betts (Persons Unknown, Shutter), to Robert Patrick (Terminator 2: Judgement Day, The Unit). Although Last Resort is filmed in Hawaii, there is nary an idyllic moment in the compelling pilot. From the onset, viewers are thrust headlong into the world of the most powerful nuclear submarine ever built, the U.S.S Colorado. As the captain, Braugher’s Marcus Chaplin cuts a commanding figure, but his authority was unceremoniously revoked when he made the choice to question a dubious order to fire nuclear weapons at Pakistan, received over a communication channel designed to be used only if the US homeland had been wiped out. Speedman’s XO Sam Kendal steps in as second-in-command, and when he stood by his captain’s decision, the patriotic crew of the Colorado find themselves fired upon by their own country. With nowhere to run to, the crew seeks refuge on an island and meanwhile, takes over a NATO outpost and declares war on the US. While the pilot is guaranteed to keep one on the edge of the seat, the show also has a lot of heart in its poignant moments - the lighthearted and the heart-tugging. When the crew breaks into song and dance – a tradition when they cross the equator - even the solemn-faced Lieutenant Grace Shepard (Daisy Betts) joins in with a grin. As the daughter of an admiral, Shepard has an upstream struggle to gain her colleagues’ respect due to her father’s rank and her gender. We see the father-daughter relationship play out when Shepard tries to relate the truth of the situation to her tearful father, but the Secret Service steps in to cut off all communications. Equally heart-tugging is Kendal’s effort to reach out to his wife Christine (Jessy Schram, Falling Skies), imploring for her belief in him despite all that she would hear, with the knowledge that this might be the very last time they would ever speak. As expected, life on the island is not a bed of roses. The crew is faced with three threats; firstly from the US government who would definitely seek retaliation after Captain Chaplin has declared war, secondly, the island is not without dangers especially with locals unhappy with their intrusion and lastly, the internal threats might prove to be the most lethal. While some of the crew will be on the same side with Chaplin and Kendall, there are bound to be many others like Master Chief Joseph Prosser (Robert Patrick), who, earlier, has openly given them flak on not following government orders. From the initial 150 headcount at the beginning of the pilot, the crew is whittled down to 130 at the end. How many more would they lose? Perhaps executive producer Gajdusek sums it up right – ‘We’re not a political thriller. We are an epic story.’ You have been warned.